Human Rights are “the recognition of the inalienable dignity of human beings” (1). Free of discrimination, inequality, or distinction of any kind, human dignity is universal, equal and inalienable. Beyond the concept, Human Rights are expressed and defined in legal texts, which seek to guarantee the dignity of human beings and to make it a reality. 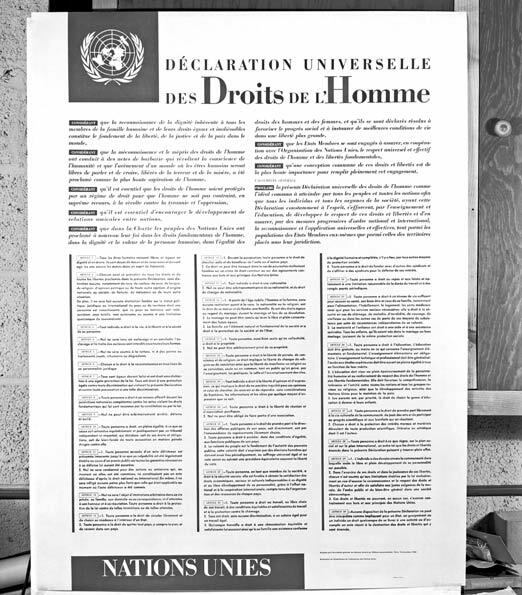 The 1948 text of the Universal Declaration of Human Rights is inspired by the 1789 text of The Declaration of the Rights of Man and of the Citizen. After the horrors of the Second World War, the international community decided to draw up an international charter of rights that would affirm the values put forward in the struggle against fascism et Nazism. 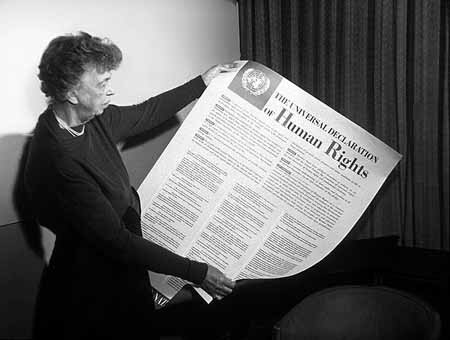 The drafting of such a charter was entrusted to a committee chaired by Eleanor Roosevelt and composed of members from 18 countries. The Charter was drafted by Canadian John Peters Humphrey, and then revised by Frenchman René Cassin. The final text is pragmatic and the result of numerous political consensuses, so that it would gain widespread approval. The Universal Declaration of Human Rights was adopted by the third General Assembly of the United Nations on 10 December 1948 in Paris. 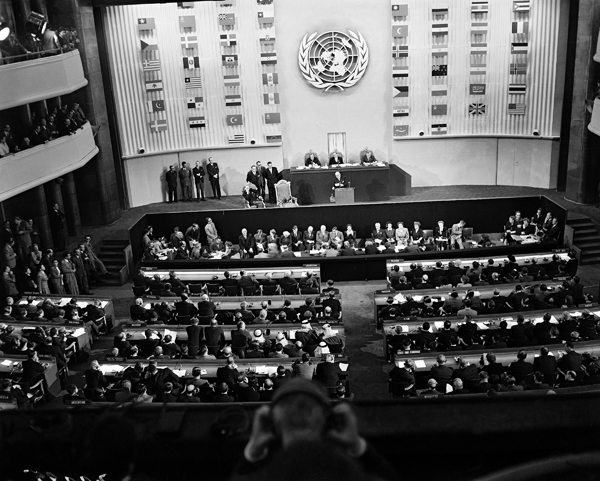 None of the 56 members of the United Nations voted against the text, but South Africa, Saudi Arabia and the Soviet Union abstained. Although children are seldom mentioned in this text, it is nevertheless a significant document, and its impact on all human beings, including children, is what makes the Declaration so important. In fact, children’s rights are based on human rights. The 1959 Declaration of the Rights of the Child highlighted the unique nature of childhood and thus the application of rights pertaining specifically to children.